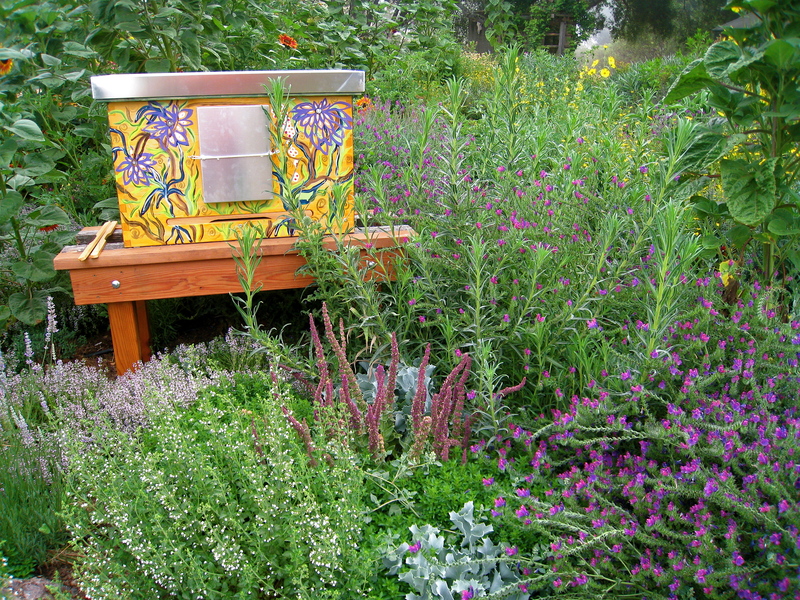 One of Barbara Schlumberger's hand painted hives: a Golden hive from Germany. 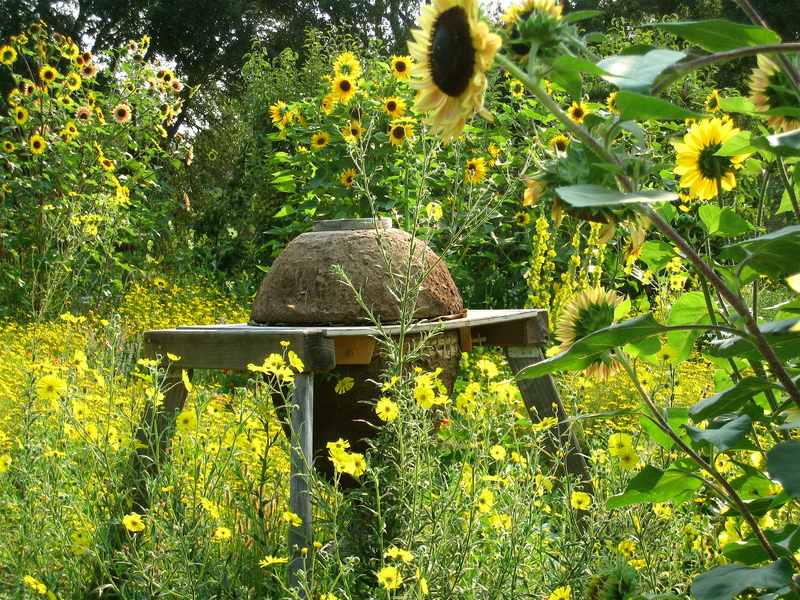 A Hanger Korp hive from Germany surrounded by native tarweeds and sunflowers. 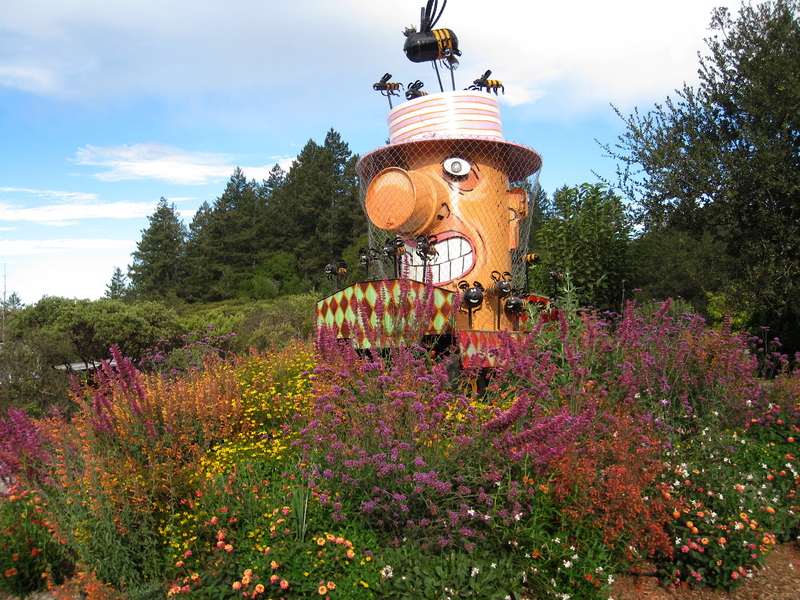 Bernard the beeman, by Patrick Amoit in Sebastopol surrounded by a carnival habitat garden filled with many moths, butterflies, native bees, honey bees, beneficial insects, hummingbirds and more. 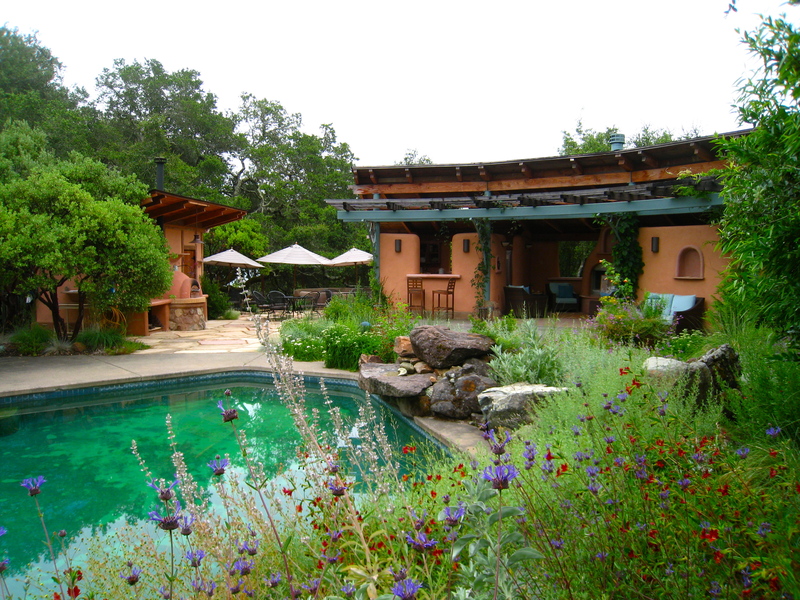 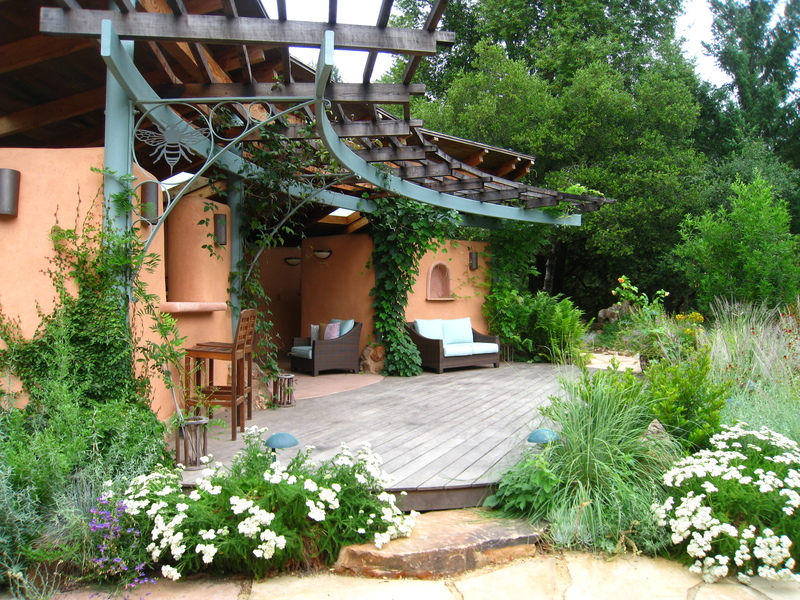 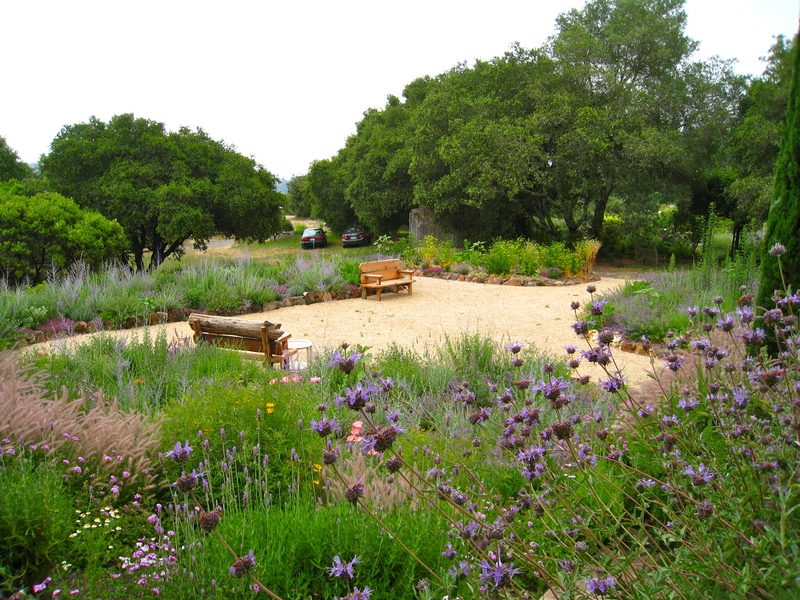 The pool garden, completed in 2009 with all California native plants. 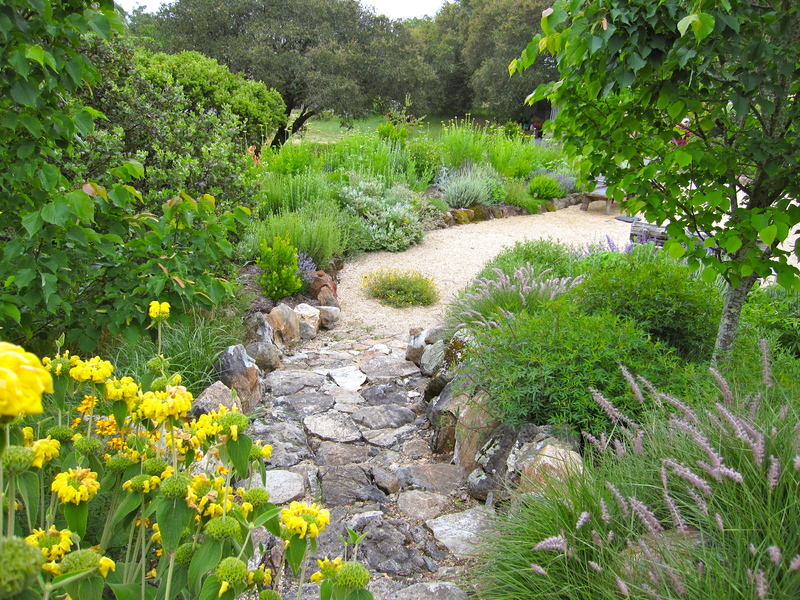 More of the pool garden showing the softness and beauty of native plants. 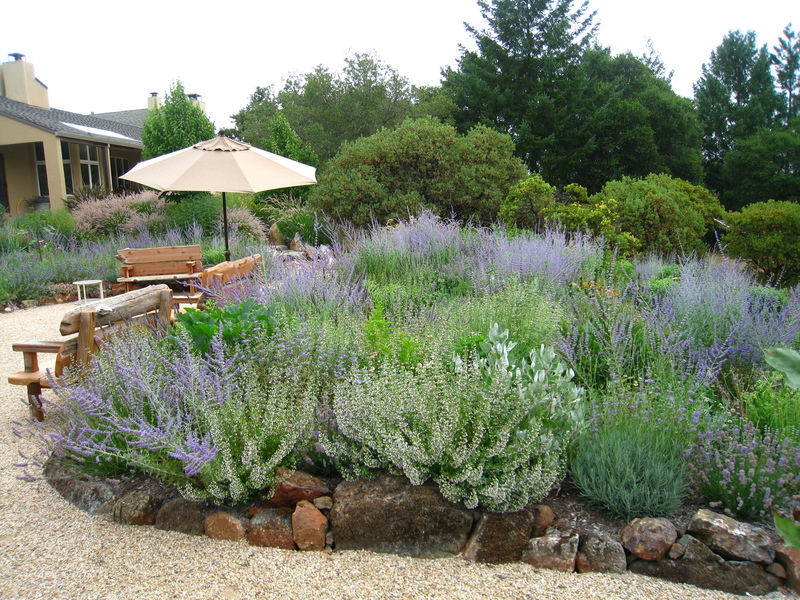 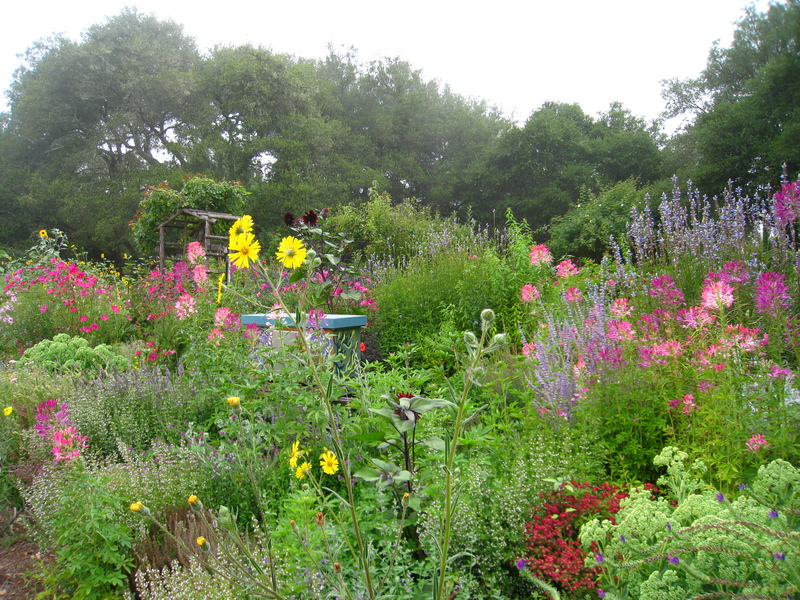 In 2010 we removed the lawn and replaced it with the most productive bee garden yet, using all the plants that performed the best, flowered over a very long period, plus were almost no maintenance. 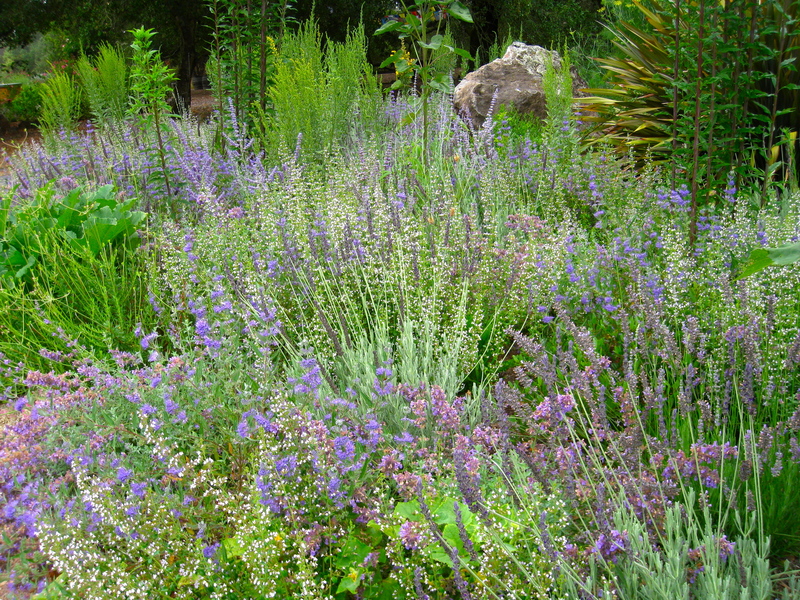 A detail of some favorite plants at the lawn area: calamentha, nepeta, perovskia, caryopteris.